Smart ForFour information: everything you need to know if you own it, are thinking of buying one or just want to find out more about the Twingo twin. Click on the links below for all of CAR magazine’s news, reviews, videos, scoops and spy photos of the ForFour car range. We list the top 10 stories for each model – and where appropriate you can click on ‘More’ to browse even more of our archive. The Smart ForFour is the stretched sibling of the new-generation ForTwo, with seating for, you guessed it, four adults. It’s twinned with the Renault Twingo but costs a bit more to buy. 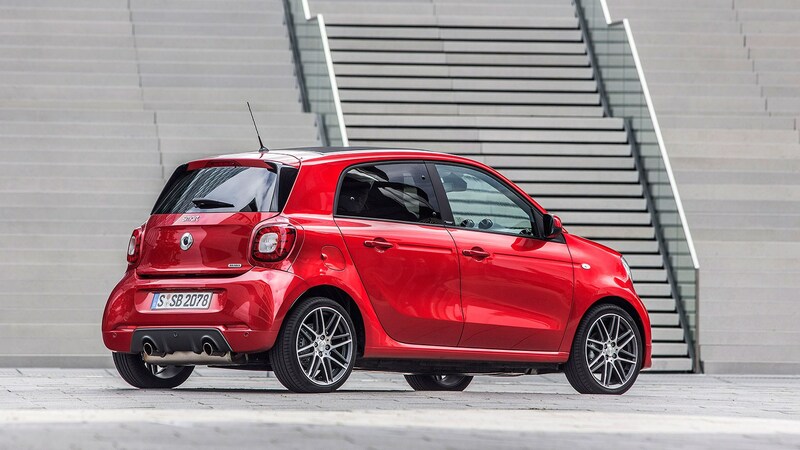 For more information on the Smart ForFour, click on our further stories on the links below. This is Smart’s second go at a ForFour model, the original a below-par hatch based on the Mitsubishi Colt. This time around it genuinely is a longer, four-seat version of the ForTwo, sharing its platform with the Renault Twingo for economies of scale. And, to be honest, you’d probably be better off with the Renault. It looks nicer and it’s cheaper to buy, even if the Smart does come with a few more toys as standard and a badge that supposedly carries a more premium image.